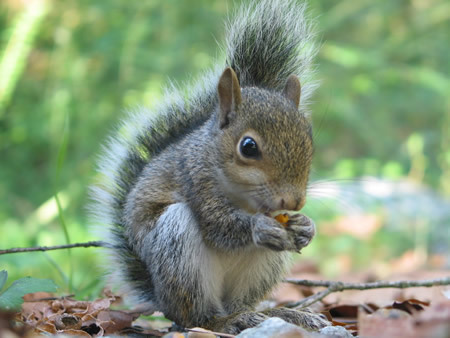 In Israel, a man’s obsession over a pet squirrel has gone too far. A man was walking with his pet squirrel when another man grabbed it out of the owner’s fanny pack. But the owner was able to grab the squirrel back. Later that day, the same man who tried to take the squirrel called the owner and threatened that he would burn the house down if he didn’t give him the squirrel. The details are a little thin here, so we’ll take this crazy story as is. Scared of losing his house, the owner met with the man and handed over his squirrel. (This would be a good time to call someone like the police. No?) When handing over the squirrel, the man allegedly shoved and slapped the owner and came at him with a kitchen knife. Two hours later, the man also allegedly torched the owner’s motorbike. All for the love of a squirrel. This entry was posted on Tuesday, June 12th, 2007 at 3:50 am	and is filed under Other Pets, National Dog, Cat & Pet Info, News for Cats, Dogs & Owners. You can follow any responses to this entry through the RSS 2.0 feed. Both comments and pings are currently closed. You can’t separate a man from his squirrel.